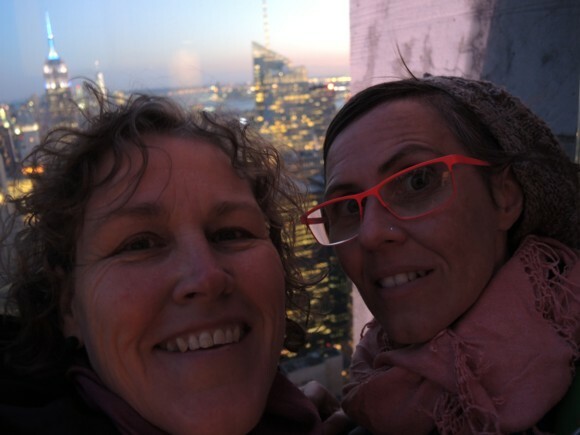 YUP, that's us squeezing in a photo with the Empire State Building, in New York, in April. 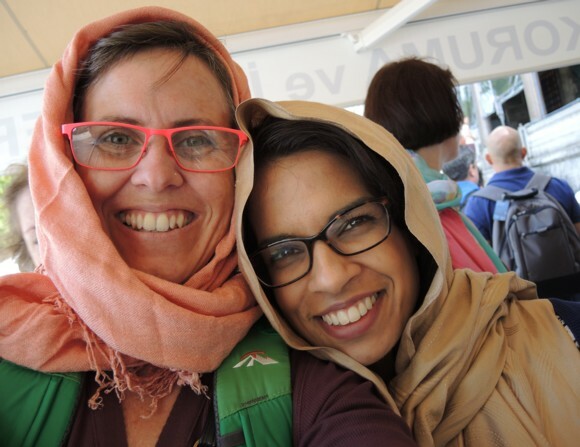 That's me and a work mate about to go into the Blue Mosque in Istanbul, Turkey, in May. And, that's me in the blue UNICEF shirt with another professional collaborator you may well recognise, outside a tented refugee settlement in Lebanon, in June. Six international flights to take three trips into the Northern Hemisphere's spring and summer, with a week of winter back home to break each trip up. Needless to say, the jet lag was horrific. I WENT TO… A holiday to New York in April, with work trips to Turkey in May and Lebanon in June. I ATE… Diner breakfasts along with cheap, tasty falafel rolls from the street vendors in New York; gorgeous sweet Turkish Delight, sticky dark coffee and tart, refreshing pomegranate juices in Turkey; and, moreish mint lemonades, flat breads and hummus in Lebanon. I READ… Ironically, Gretchen Rubin's Happier at Home. There has been a lot of discussion in my household about where we should live and what we should be doing with our days. My partner and I live two hours from where we work, so commute four hours each day. This has a huge impact on our family and community connections. Happier at Home, as an audio book was a good read to help distill some of these discussions. The Signature of All Things, by Elizabeth Gilbert, was my favourite read of recent months. Alma Whittaker was a character I was happy to bring into my days and sorry to see go. I OP SHOPPED… Just because I was travelling didn't mean I stopped op-shopping. I brought home from New York a pair of leather boots bought in a Goodwill store, a silk scarf bought for a dollar from a stoop sale and a 'Made in USA' Levi's denim jacket from the Brooklyn Flea. In Turkey, it was a struggle to pass up vintage hand-loomed rugs and kilims. I resisted, and my bank balance is much the better for it. In Lebanon I spent $10 on a vintage film poster. It's being framed and should be hanging on our walls next week. I MADE… A new garden. This past week I've started to dive into the long list of things that need to be done around the house. I dug a new garden: one of many I planned out last year. Your life has been busy & full of good things Katie. That is a big commute each day isn't it? Happier at Home sounds like a good read. Happy gardening to you. Jane, it is a big commute, but you just get on and do the things you choose to do, right? Oh my garden. I am dearly hoping for a sunny weekend to get my hands dirty. Leonie, I try, but I am one smudgy mess by the end of the day - and clearly here it had just melted away.